Despite new technology that enables us to collaborate remotely and stay connected with people on the other side of the earth, the need to travel for work remains ineluctable to develop good business relationships. In a global economy, employees may have to go abroad to meet a client or attend a seminar. But companies have a duty of care towards their staff, when they travel to another country for business, as per the Management of Health and Safety at work regulations. To comply with their legal obligations, employers will need to complete various steps to assess the risks and ensure the safety of their staff when they travel. 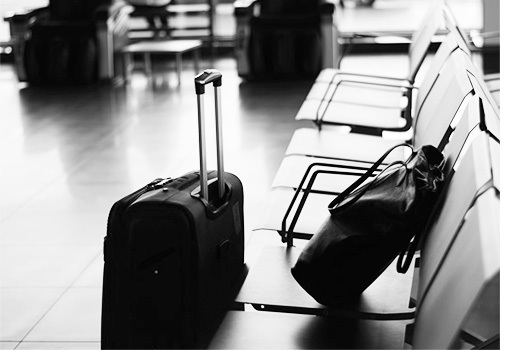 Companies must establish a travel policy that sets out rules when employees are travelling for work, which are subject to transport, accommodation, subsistence, travel insurance and the reimbursement of travel expenses. Such policy is necessary to give employees a clear understanding of what is expected from them. A well-designed travel policy should allow for flexibility, as certain destinations that are potentially dangerous will require the use of safe options, as opposed to cheaper alternatives. For instance, if your employees are staying in a country that has a high crime rate, your priority will be to look for an hotel that is located in a safe area, instead of just picking a low-priced accommodation. Furthermore, your policy should define health and security standards, instilling in your employees’ best practices they should follow. This should include the contact details of the person to get in touch with, in the event of an emergency and what would trigger your company using external Travel Security Services. Once this procedure is in place, a firm can carefully plan their personnel’s travel, by carrying out a pre-trip risk assessment. Prior to organising a business trip, a company must gather pre-trip intelligence and conduct a risk assessment, identifying possible threats to travellers’ individual safety and the overall risks associated with the travel destination. The personal health of each single employee who will be travelling, is an important risk factor and needs to be assessed on a case by case basis. As a result, it is essential that your employees communicate their full medical history and any medical condition they have (allergy, pacemaker use, etc). Whenever possible, you should encourage them to agree to doing a medical check-up with their doctor, to verify that the trip won’t affect their health. Harsh climates, or air pollution, for instance, could be detrimental to people who suffer from breathing problems. Access to certain medical facilities can be problematic in some countries and in other circumstances, employees may not be allowed to travel with certain medicines. Other elements can impact a person individually. Amongst them, you should consider their age, but also their gender. In certain countries, women would be more vulnerable than men, when they travel on their own. Before sending their workforce abroad, firms should gather local security intelligence and carry out a pre-trip risk assessment in order to highlight potential dangers to which their staff may be confronted. To help you in your endeavour, Intelligent Protection International Limited puts at your disposal free interactive Country Briefs for the entire world, all accessible on our website. Unlike other companies, we do not charge money for these reports, as we want to put our expertise at the service of everyone, including the less fortunate who would not be able to afford it otherwise! They give the public most of the information that should form part of a travel risk assessment. We have our own in-house intelligence cell, constantly monitoring for incidents, such as terrorist attacks, natural disasters or epidemic outbreak. Our intelligence team updates our reports as events arise, to give the public information in nearly real-time; ensuring that the details provided are kept up-to-date. For each country, visitors are given a security brief, highlighting major internal threats and risks, pointing out most dangerous geographic areas and offering an insight of the political situation that may affect security. Finally, the security brief also relates recent terror incidents with exactitude; covering all aspects of security. When travelling abroad, employees can be exposed to certain hazards, as regards to their health. Food, water consumption and endemic diseases, all present risks that require preventive measures. In order to avoid contracting certain illnesses, tourists have to be vaccinated against certain diseases to ensure that they are immune. Each of our country brief provides you with the list of vaccinations that you need to have done before your arrival to your destination of choice. We also outline infectious diseases present over there, and inform you of the medical resources in place, the level of healthcare quality, and recommend initiatives to take to avoid catching any infection. Should driving be one of the transport options for your employees to get around the place they are visiting, a knowledge of the local driving legislation is a prerequisite to drive abroad. To assist you in planning your transport, we disclose requirements for specific driving licence and risks of travelling by car. In the event of an emergency, to mitigate the impact of an eventual incident on the security of your staff, you should draw an emergency plan that establishes processes to follow, evacuation plans and alternative travel arrangements to make, to organise the safe return of your employees. Our country risk reports display a news feed with live information from trusted news sources on the country of interest, enabling you to keep an eye on the current situation in real time. The feed is filtered to only show the latest news about the country you are interested in. Our interface features emergency contact numbers and an interactive map for emergency locations, such as hospitals, police stations and embassies; allowing you to easily locate and contact them in an emergency. By Law, organisations whose employees travel on business, must provide their staff with travel safety training, before they go away. Through a travel awareness course, travellers gain the ability to prepare for their trip, identify risks before they materialise and can better deal with a dangerous situation as it happens. Risks like petty crimes, hotel invasion, or kidnapping if travelling to a high-risk area, are all threats that you should be prepared to face. Situation awareness is an effective way to avoid an event to develop and cause you harm. To put into practice the knowledge they acquire during their training, travellers will also rehearse the competences they learnt during their course, so they are ready to apply them in a real setting. Giving access to our country briefs to your staff is a good starting point to improve their awareness as they depart. Good travel preparation can make an enormous difference for the security of your personnel! Hopefully, the information provided in this article and our country briefs, will enable you to organise your companies’ travels with ease. Should you require the support of a security specialist, Intelligent Protection International Limited can assist you in planning the security of your business trips, carrying out thorough security reviews, combined with a close protection service all around the world. Contact us now!